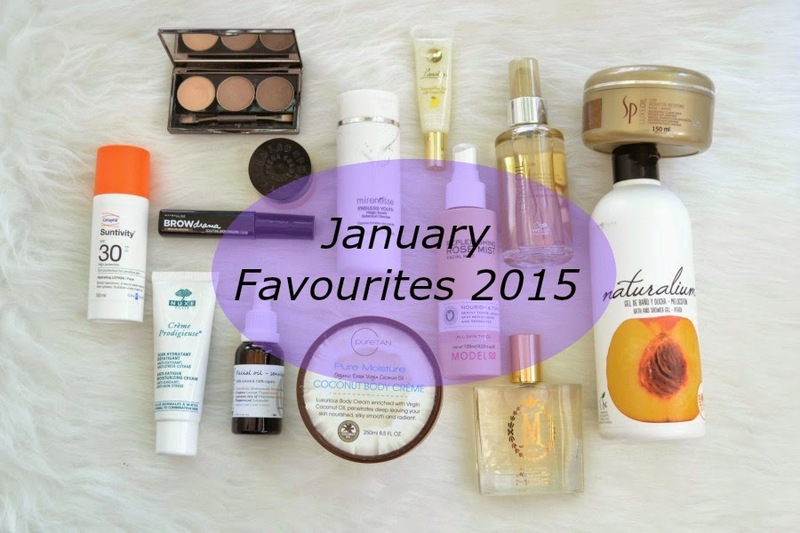 Can you believe that it's already time for the first favourites of the year!! In January, I really stripped back on my beauty routine and focused more on skincare than make up. My skin has been going through a rough time and I've really been making sure that I'm taking care of it through quality skincare and giving my skin a break from heavier make up. I've also been using more organic and natural skincare too! It's really unusual to be able to find a matte drugstore palette and this one is fantastic! It has 3 colours to create a lovely natural smoky eye. The packaging is also fantastic as it has a mirror, is slim and comes with a double ended brush. It's a fantastic palette to take away with you. It retails for $24.95 and there is also a grey version available. ModelCo Blush Cheek Powder in "Peach Bellini"
I mentioned this in my post about my favourite ModelCo products here. It's a gorgeous, pigmented blush that's a pinky apricot colour. It also has a gorgeous glow, so I can skip the highlighter when I use this. It's a completely underrated product!! I'm currently on leave from work and have stripped back my make up routine. I've been wearing just a light foundation or BB/CC cream to help cover my pigmentation. When I need more coverage I use the Bourjois Healthy Mix foundation, but when I'm looking for something light, I keep reaching for this. It covers just enough, while still letting my skin show (even though it's not perfect skin!). I like that it feels lightweight and like I'm not wearing anything. I just apply a powder on top to stop any afternoon shine and I'm good to go. I've previously reviewed this here. Brow wands/tints are the newest trend in the beauty world and I picked this up from Coles when they had 50% off Maybelline. 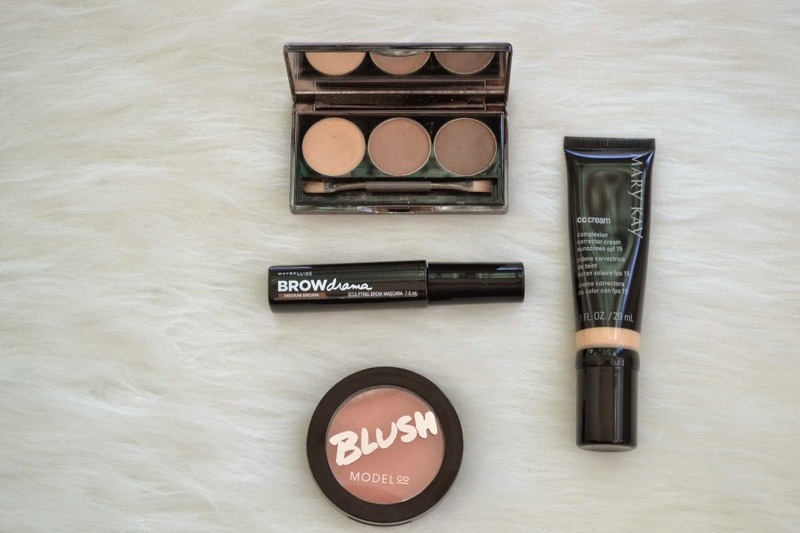 I like this style of brow formula as it's easy to use, natural and works in seconds. It's a more natural version of the Benefit Gimme Brow. I don't find it really thickens my brows, but it does tint them so the hairs that are blonde show up and give the illusion of being fuller. The wand is different to the other brow gels that I've used. It has a "ball" on the end of it. It did take me a few times to get the hang of, but now I find it easy to use. I have heard of other bloggers cutting the ball off, but haven't done that myself. If you love thick Cara Delevinge brows, then this alone won't be enough. But you could use this as a step in your brow routine. L'Oreal also have a volumising brow gel that I want to try out. I can't live without a toner and this is the newest one that I've been using. It smells amazing and feels so refreshing on my skin. When Priceline had their 40% off skincare sale I was thinking about picking up another one since I love it so much, but ended up picking up another toner (as seen in my haul here). I love using a toner that's a mist, as it's easy to use and I don't have to worry about needing a make up wipe/cotton ball to apply it. After spraying it, I just pat it into the skin. I'll be picking up another one in the future! I love hearing about new brands and was recently introduced to Thornhill Lane Biodynamics by it's creator, Stefania. She hand makes the products herself. All of the products are 100% natural and organic. She grows the ingredients herself and infuses the oils to create the products. I was sent 4 products and the stand out one is the Facial Oil For Sensitive Skin. It has a lovely smell and sinks into the skin quickly and easily. I've been using this at night and wake up with soft skin. They also have an oil for dry skin, oily skin, mature skin and normal skin. You can see the range here. I've been using this for less than a month but have fallen in love with it! It feels a little bit heavy on the skin as I'm rubbing it in, but once it's sunk into my skin it feels weightless. I love the packaging of this as it's in a tube not a tub, so it's very hygienic. I've already bought a back up of this when Priceline had their 40% off skincare sale. I'm always scared of trying out a new sunscreen as it's something that can go either way. I'll either hate it because it feels heavy, greasy and has an unpleasant smell or I'll adore it. Luckily I've adored this. It's a lightweight formula that sinks into the skin quickly and easily. The packaging is great too. It has a pump applicator and is a good size for travel so I can put it in my handbag if I want to touch up throughout the day. This is a cleansing exfoliator. It has small little beads that break down when you rub it into your skin. It's a fantastic exfoliator as it gives just enough roughness to get rid of dead skincells, but is still soft on the skin and doesn't feel abrasive. If you like the idea of a soft exfoliator like the Indeed Labs Facial Powdered Exfoliator or the Dermalogica Daily Microfoliant but want something with a bit more grit, then this would be perfect for you. I like to use mine every 2 or 3 days depending on how my skin is. I've mentioned this a few times on the blog and it's an amazing lipbalm. It's more on the oily side, which means that it really penetrates and hydrates my lips. It's pricey ($32) and I put off purchasing another tub, but my lips just kept getting more and more cracked so I caved. And it's really worth the money! After 2 days my lips were soft and smooth again! This is another holy grail lip product. It has lemon oil, which helps to softly exfoliate my lips. This is either my 5th or 6th tube. I bought it at the Priceline sale and now wish I bought 2. This mask has quickly replaced my love for any other hair mask and is now my holy grail mask. It works quickly (in as little as 5 minutes) and leaves my hair feeling soft and smooth. I like that this works quickly, as I find it's hard to use a 20-30 minute mask when you have a toddler that seems to need a hundred things the moment I start washing my hair!! I have damaged hair that's fine (which is a massive pain as a lot of repairing masks are too heavy on my hair) and never feel as though this is too heavy on my fine hair. My husband has even used this... which now means I'm going to have to hide it from him before he gets hooked on it!! I really wish that they had a massive tub available of this as I don't ever want to be out of it! 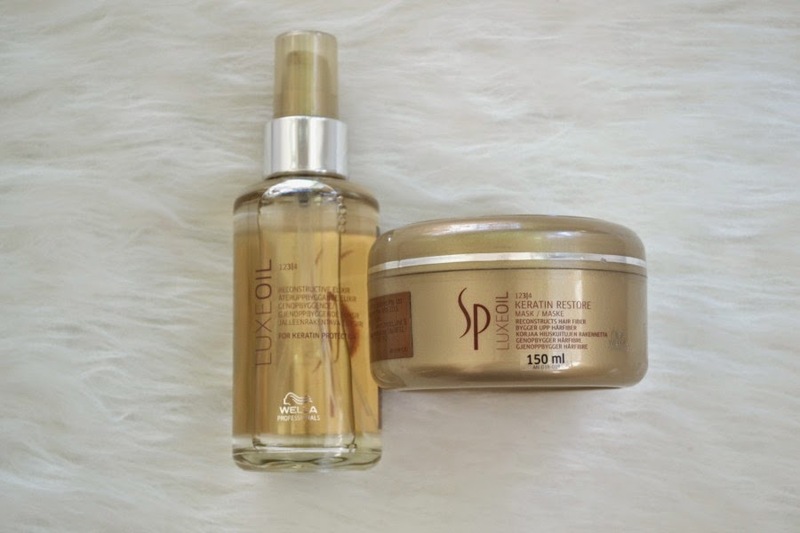 This matching hair oil from the same range is incredible. I use it in 2 ways currently. I use it as a classic hair oil and apply it to damp or dry hair and then style my hair. Otherwise I love to use 3 pumps in my hair mask to give it added hydration. A little bit goes a long way, and this bottle will last about 8 or so months even with everyday use. I adore the scent of this and the mask. I'm wanting to now try out the rest of the range. This came in a Christmas gift pack and I just adore the smell!! It's a soft girly scent that instantly relaxes me. The scent lasts for hours and doesn't feel overwhelming or too much. This is such an amazing body moisturiser that leaves your skin feeling so soft and smooth, even hours after you've applied it. It feels thick as you apply it onto your skin, but it has a whipped like formula that sinks into your skin quickly and easily. The coconut scent is gorgeous too! 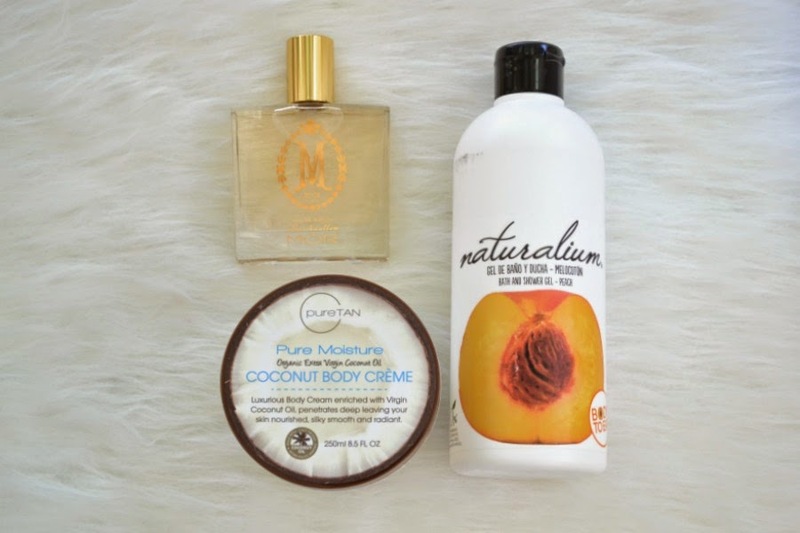 Naturalium Bath & shower Gel in "Peach"
I bought this from Chemist Warehouse and fell in love with it from first use. It has the most beautiful peach scent. It reminds me a lot of a body shop shower gel, but just at a cheaper price ($5.99 for 500mls). I want to pick up the matching body moisturiser now. 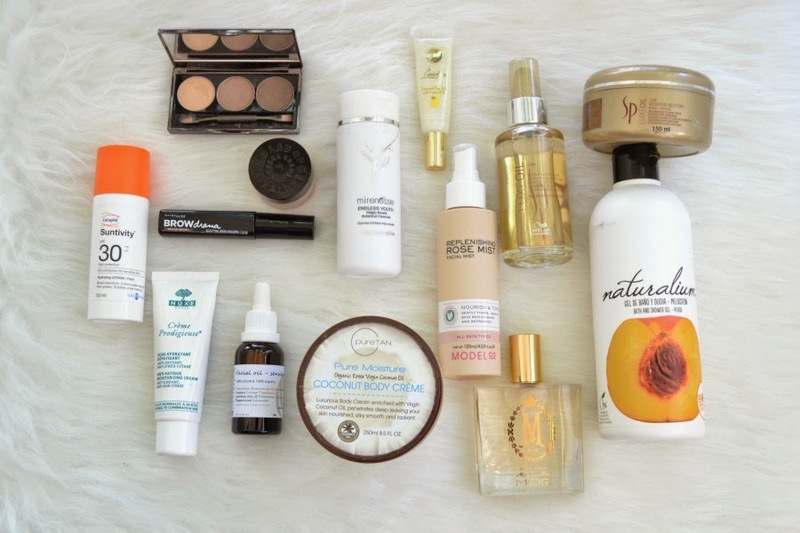 What have you been using and loving in January? Great selection of products! I most love the sound of the Thornhill Lane Facial Oil - sounds like my sort of products...hand made, natural, organic. 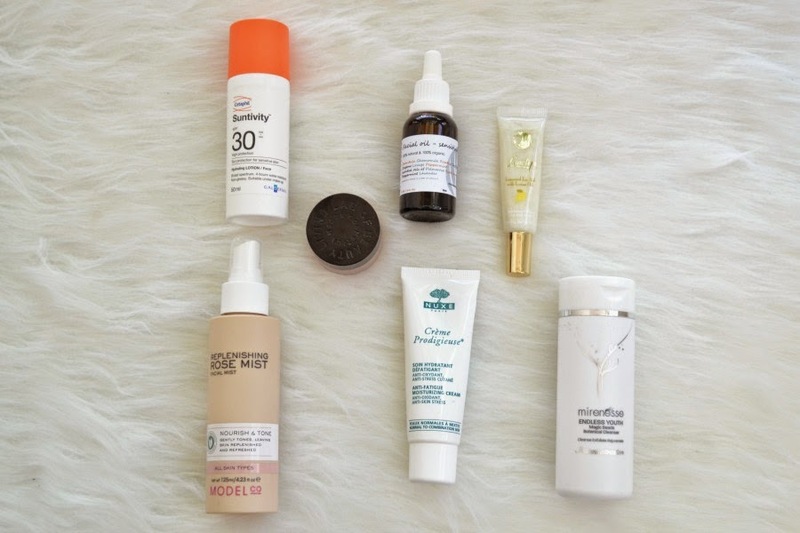 I love reading these types of blog posts to discover what products other beauty lovers label as their holy grail products. It's a way of discovering great new products for me to try as well. I'm going to keep an eye out for that Wella mask. It sounds worth trying especially as I also have fine hair. I am loving that eye shadow palette, it's great when you can find a nice neutral, smoky eye !